It is a sad fact that the Armenian Genocide and the ongoing fight for genocide recognition is a crucial part of modern Armenian identity. For nearly a century, successive Turkish governments have followed a policy of fierce denial; the genocide never happened. Mindful of their important strategic relationship with Turkey, Israel, the United Kingdom and the United States still fail to officially recognise the genocide. The United States has even been complicit in the Turkish denial. The battle for recognition and Turkish denial were thrust in to the western media spotlight when French parliament submitted legislation that would make it a crime to deny any genocide officially recognised by the state. France only recognises the Jewish Holocaust and the Armenian Genocide. If President Sarkozy ratifies the legislation, denial of either would be punishable by a substantial fine and custodial sentence. 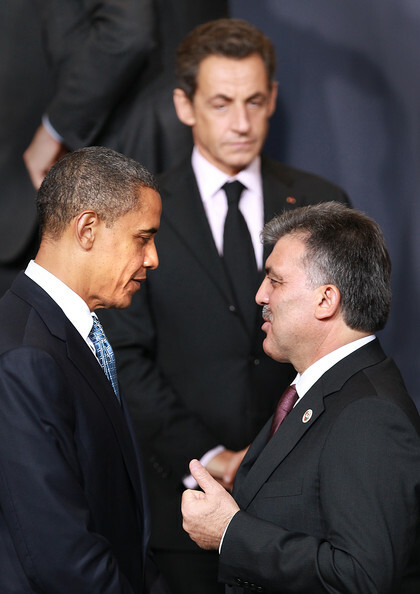 The legislation prompted a furious response from Ankara; Turkey threatened retaliatory measures against its NATO ally. As a bi-ethnic Armenian I am expected to welcome the legislation and yet I am troubled by it. Free speech is fundamental to the development of a democratic society and to try to legislate it sets a dangerous precedent. Equally important to a democratic society is the acknowledgement of history and confronting the past. The legislation does violate free speech, despite the fact that genocide denial is one of the most repugnant expressions of it. It is also hypocritical; France still fails to acknowledge the atrocities it committed as a brutal imperial power, the Algerian War for Independence offering a significant example. President Sarkozy is a politician seeking re-election and with the Armenian Diaspora in France being many, the Armenian Genocide is being used as a political football. The passing of the legislation will secure votes. However what I do welcome, what I always will welcome is any reminder served to the Turkish government; the issue of the Armenian Genocide and the sustained denial of it will not disappear. The response from Ankara is not a passionate defence of free speech. Under Article 301 of the Turkish Penal Code it is illegal to insult Turkey, Turkish ethnicity and Turkish government institutions. Article 301 is an overt suppression of free speech. Prominent Turkish and Turkish-Armenian intellectuals, Orhan Pamuk and Hrant Dink who have publicly acknowledged the Armenian Genocide have been charged under Article 301. Ultra-nationalists subsequently assassinated Hrant Dink. The governmental denial of the genocide aims to reshape history and demonises the victims, fuelling anger and aggression towards them. Explosions of violence are inevitable. The Armenian Genocide is of great importance to modern world history because it provided a blueprint for centrally organised, systematic annihilation of a race of people. On April 24th, 1915, Ottoman authorities arrested prominent Armenian community figures and intellectuals in Constantinople and the majority were executed. This date conventionally marks the beginning of the genocide but the idea of killing Armenians with impunity under Ottoman imperial rule had been cultivated over a long period of time. Under the Muslim dhimmi system, religious minorities within the Ottoman Empire were tolerated but not accorded equal rights and were subject to exploitation. The Armenians, a Christian minority, populated the eastern provinces of what is now Turkey. They pushed for reform in the 1890s. Sultan Abdul Hamid II created the Hamidiye, a paramilitary unit made up of Kurdish irregular troops, to suppress the Armenians. Indiscriminate massacres took place, leaving 300,000 dead. It was the old imperial adage of divide and rule. Abdul Hamid II was removed from power by the Young Turk revolution of 1908. The nationalist wing of the movement consolidated power under the banner of the Committee of Union and Progress. Fuelled by a pan-Turkic ideology and under the cover of the First World War the Armenian Genocide was planned and conducted. The triumvirate leadership of Mehmed Talaat, Ismail Enver and Ahmed Djemal, operating under the pretence that the Armenian minority were a security threat to the Ottoman Empire, ordered wholesale deportation of all Armenians from the eastern provinces to concentration camps in the Syrian Desert. Deportation was code for massacre. Men, women and children were slaughtered. The barbaric methodology varied. Those who survived the death marches were left to starve in the camps. Over 1,000,000 lives perished. Immediate parallels can be made between the Armenian Genocide and the Jewish Holocaust. World War created the ideal conditions for each atrocity to take place. The propagandist idea that Armenians were a disease that infected Turkish society foreshadowed the Nazi ideal that Germany needed to be free of the Jewish race in order to revitalise itself. When addressing his generals before the invasion of Poland in 1939, Hitler asked rhetorically â€˜who, after all, speaks today of the annihilation of the Armenians?â€™ This statement is indicative of the successful erosion of memory perpetuated by Turkish governments. The Turkish Republic formed under Mustafa Kemalâ€™s leadership. The Kemalists were totalisitc nationalists and initiated the vehement denial of the Armenian genocide in order to create a monolithic Turkish state, refusing to acknowledge that Armenian provinces ever existed in Turkey. Kemalist propaganda depicted the Armenian minority as a rebellious, violent insurgency and attributed deaths to internal conflict. Successive Turkish governments have adopted this line of argument since. The United States remained neutral to the Ottoman Empire during the war and was the emerging leader of the capitalist system. American foreign policy now dictated by oil and self-interest, solidified relations with Turkey in the pursuit of open door business and commerce. Armenia was deemed void of natural resources and of little use, a tiny landlocked state that had been absorbed by the Soviet Union. Anticommunist sentiment was rife and Turkey eventually assumed the role of NATO defender on the Soviet border. Turkey is of equal strategic importance today as the west continues its crusade to spread democracy in the Middle East and diplomatic relations with the republic is crucial to western interests. In the United States in 2000, an Armenian Genocide resolution was proposed by congress to President Clinton. The resolution sought to ensure that recognition of the genocide became constitutional, a simple bill with no legal ramifications. Ankara warned the United States that passing the resolution would have disastrous consequences, Turkish airbases would be closed to American planes and weapons contracts would be cancelled. The resolution was quashed. An attempt by a supposed super-power to commemorate the Armenian Genocide had been censored by a client state. It is a fallacy to believe that the Armenian Genocide has two legitimate histories, one for the perpetrators and one for the victims. The genocide is not an allegation. It is a fact. The denial of the genocide is a cruel attempt to subvert the truth in order to preserve a national mythology. The majority of the Armenian Diaspora is descended from the survivors of the genocide. Until a brave Turkish leader acknowledges the past and confronts history, the deep wounds inflicted upon our identity will never be allowed to heal.